- This offer is only eligible orders chosen to be picked up at Mei Foo Mount Sterling and Mei Foo Plaza shops, and is amount of $400 or above. - $50 coupon code will be sent via Message Centre on the following Thursday after order is confirmed. 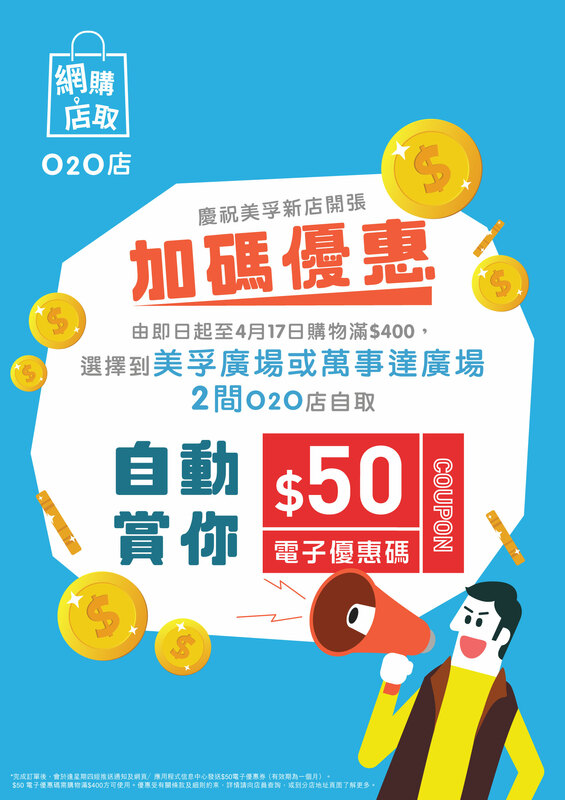 - Offer is applicable to a single purchase upon total bill amount of $400 or above and pick up at HKTVmall O2O shop. - A e-coupon with coupon code will be given in Message Centre every Thursday when customer finished pick up order at shop. - The offer can only be used when the coupon code is input during the transaction. - Each transaction may enjoy one coupon code and it cannot be used in conjunction with other promotion offers. - Each coupon code has a validity period and can be used one time only. 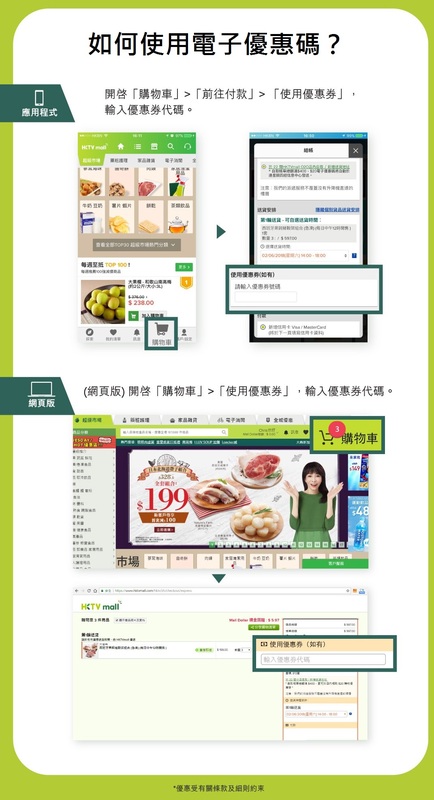 - Hong Kong TV Shopping Network Company Limited will not re-issue a coupon and not be liable for loss or damage resulting from any human error. - The coupon / coupon code must not be used for any commercial purposes. - Hong Kong TV Shopping Network Company Limited reserves the right to change or terminate this offer without prior notice. - Hong Kong TV Shopping Network Company Limited reserves the final right of decision in case of dispute.